UNITED NATIONS, June 22 – The UN talks about carbon reduction and austerity, but is vague about emissions while not only allowing but requiring waste. On Friday evening, as the (non) response on Ban's travel was sent out, DPI was informing Inner City Press that it planned to now put three separate media in the two-desk office behind the FUNCA sign. This was presented for the first time in front of one of the media. Now a series of questions have been raised. Why is an UNCA Executive Committee member next to Inner City Press given a private, one-media office? 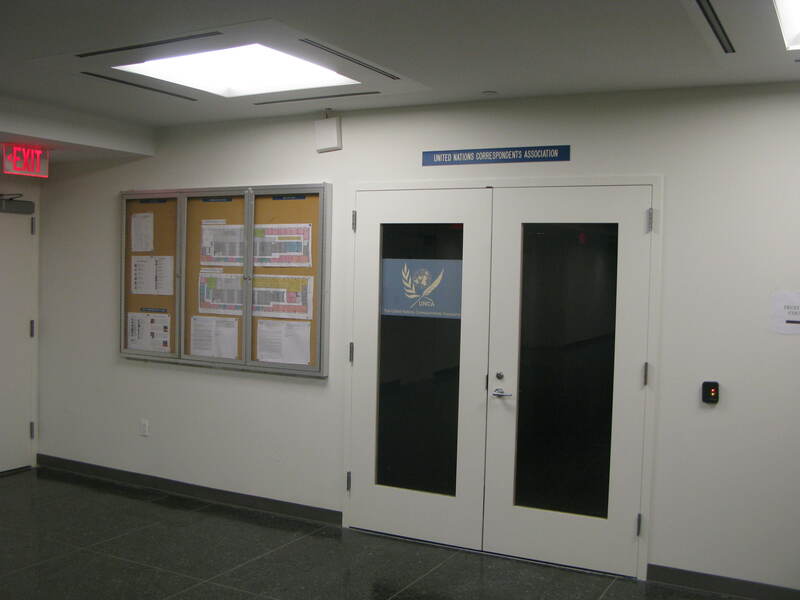 Why is the UNCA president, Pamela Falk, given a separate office? How can the UN put three media at two desks? The answer to the later is waste: media which have not requested UN space are told they can only get a so-called “White P” entry card if they request from the UN space they do not want. When asked about this wasteful absurdity, the answer is that these are the UN rules. But the UN makes its own rules. In the case of the new rule against signs – or signs other than UNCA's – the UN partnered with UNCA to put out a rule banning all competition. Likewise, the UN Censorship Alliance announced limitations of use of the Security Council stakeout as media workspace, which is how new media coverage of the Council is possible, conversing with diplomats going in and out while writing a series of short pieces about a range of topics. 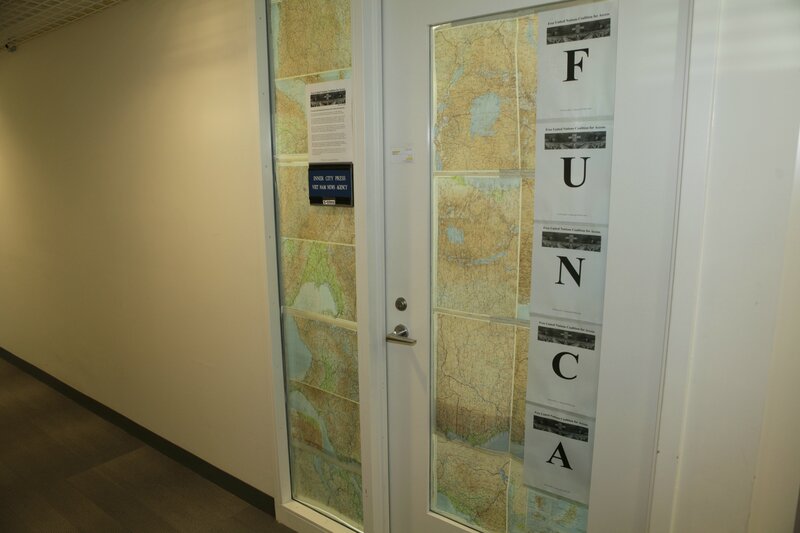 The UN has been told that any removal of the FUNCA sign would be unacceptable censorship, an attempt to ban a new dissenting group or network; after a week of waste, it has been asked to confirm that it will not seek to force the removal of the FUNCA sign while leaving UNCA's up. The DPI official responsible for much of this, promoting the ban on dissent both below and above himself in DPI, now follows FUNCA (after previously blocking Inner City Press). What will come of this? Watch this site.